Metalheadz Podcast 62 features a legend at the controls - Digital. First appearing on the label all the way back in 1996, Digital is a true pioneer and has gone on to build one of the finest back catalogue's around including genre defining tracks such as 'Deadline', 'Phantom Force' (with Spirit) and 'Spacefunk'. He last appeared on Metalheadz in 2017 with his 'In The Lurch EP' and has been busy on other projects ever since, including the recent 'Total Control' album release and a brand new Phantom Audio EP. 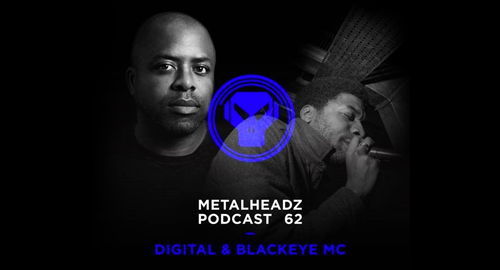 Digital will return to Metalheadz soon but for now enjoy this extended podcast alongside Blackeye MC.